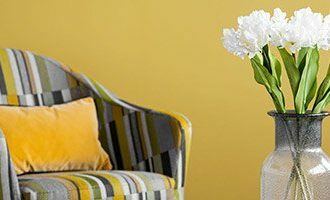 Adding vibrant pops of colour to your home can really bring it to life. Whilst indigo shades were popular last year, green has swept 2017’s market thanks to Pantone announcing ‘Greenery’ as the colour of the year. Consciously chosen for the colour’s associations with refreshment and revitalisation, green can bring a fresh lease of life into your home. You don’t have to just take Pantone’s word for it either. Plenty of well-known interior designers have cited shades of green to be everywhere in 2017. 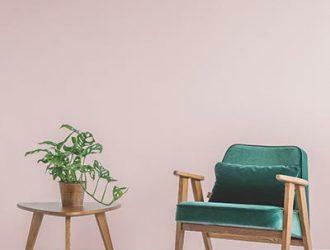 Whether you fully embrace the trend or not, there are plenty of ways to invite nature in – from bold feature walls and furniture items, to tropical prints, luscious soft furnishings and green accessories. And of course, a nice house plant or two won’t go amiss. If the thought of splashing your apartment with colour fills you with dread, you’re in luck – because on the other end of the spectrum, muted tones are set to triumph in 2017. Neutral palettes have always been the crème-de-la-crème of style, but this year you can expect to see bone whites, soft beiges and blush pinks. Avoid solid neutral colours so you don’t run the risk of creating a sterile-looking environment. Welcome a more organic feel to your home by introducing simple ceramics, linens and plain fabrics with a little texture or mottled imperfection. Picking a different colour palette isn’t the only way to restyle your home. Try incorporating geometric patterns for a contemporary look. Think simple lines and block colours for a chic Scandinavian vibe – bonus style points for a monochrome palette or primary colours. Or live more on the wild side with modern updates of classic African and Asian patterns in bold colours, for a well-travelled cultural touch. Don’t be afraid to mismatch patterns either – you can make the trend as clean-cut or eclectic as you like. Look for cushions, rugs, throws and bedding to easily bring this trend into your home. A statement rug or cushion can really offset more simplistic interiors, making this trend an easy and quick interiors fix. Like many interiors styles, the use of tactile textures is a trend that has come directly from the fashion runways. With velvets, pleats and ruffles galore making their way down the catwalk for both high-fashion and high-street designers, texture is big news in the fashion world at the moment. Adapt the trend to your home by playing close attention to touch. When you think of the senses, it’s sight, smell and sound that are usually at the forefront of any home, but thinking about tactility can make your home setting more enticing. From luscious soft feathers, faux fur, woollen and mohair fabrics as a continuation of the hygge trend, to luxurious velvets, ruffles and pleating detail for a more glamourous or contemporary feel, this trend is rather inclusive so you can easily adapt it to your overall interiors style. The faux trend doesn’t just stop at furry throws or ‘sheepskin’ rugs. Imitation surfaces come in many different forms and there’s never been a better time to experiment with the style. Often, these equivalents are more hardwearing than the real materials. Engineered quartz surfaces are better at withstanding heat and acid marks than real marble, but they offer the same contemporary yet high-end look. And faux-wooden ceiling beams don’t rot or change with the temperature like real wood does. There’s always been a bit of a love-hate relationship with faux leather, but more and more brands are creating a luxe look so you can rest assured your pieces still have that same high-quality feel as real leather. Or how about combining two trends in one with faux foliage – this is especially good if you don’t have the time (or memory!) to look after houseplants. Whichever trends you choose to incorporate into your apartment, make this year all about interiors. Need a little bit of extra inspiration? 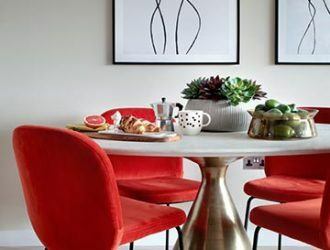 We asked some top interiors bloggers to show us round their homes and offer all their top tips when it comes to decorating. Proud of your decorating project? Show us by using the hashtag #InsideMyHome.